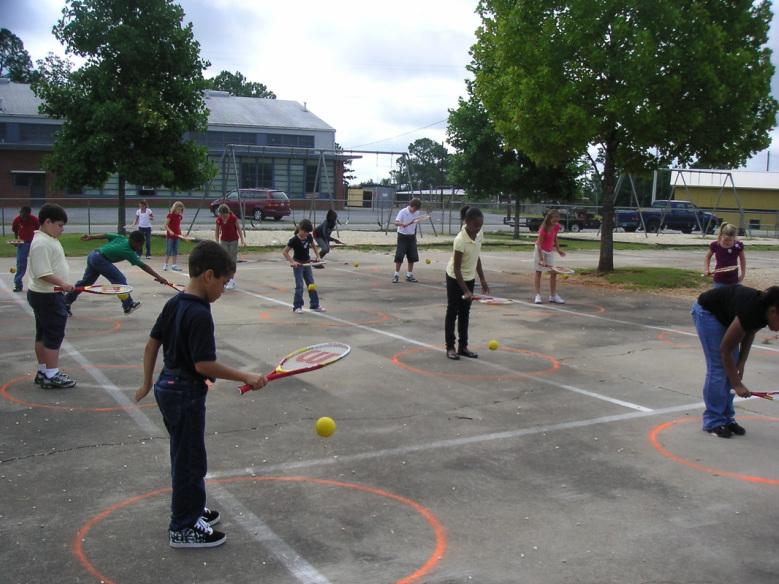 Circle-up tennis is our fall program, used to introduce students to basic racquet skills. We are able to accommodate 25-30 students in each session. 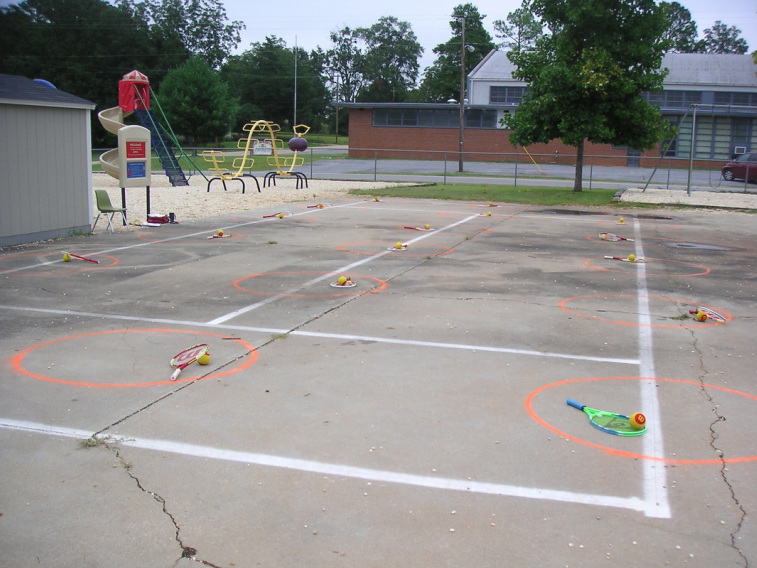 We have 8 beginner lesson plans that we use in our circles. We can accommodate 18 students on a 60' Quick Start court. Each student with his own circle. Coach Tolbert instructs before getting started. Students race around circles balancing their beanbag balls. Tennis beanbags -made by Mrs Rice, our 'super volunteer' - are used to get younger students started before switching to the Quick Start ball. 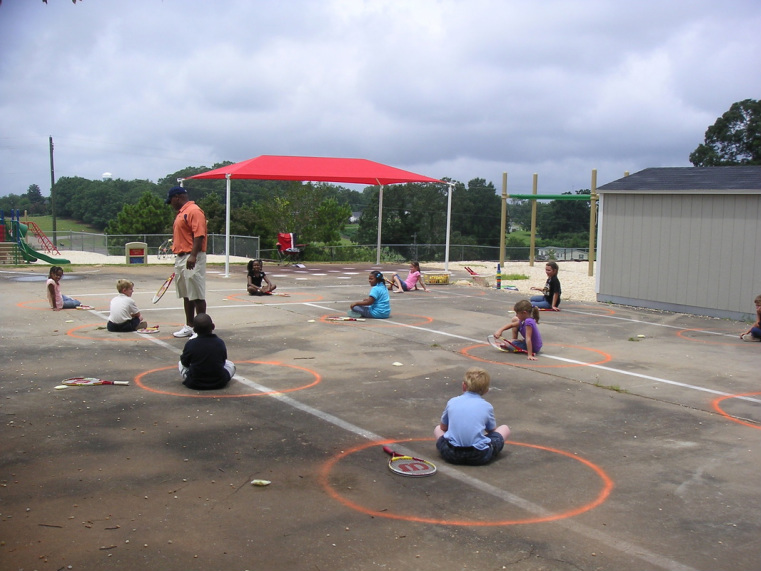 Skills can be practiced within a circle or from circle to circle or between students in adjoining circles. Or we may have races around all the circles, etc.